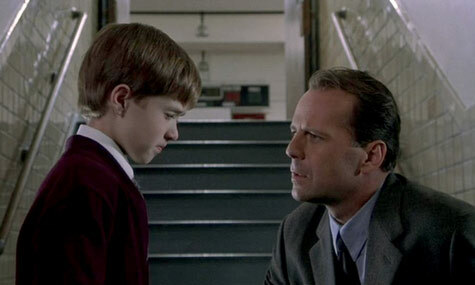 ​The Sixth Sense (1999)Dr. Malcolm Crowe (Bruce Willis), a prominent child psychologist, is shot in his home by an ex-patient, Vincent Grey (Donnie Walberg). Dr. Crowe falls to the floor with a stomach wound. His patient then turns the gun on himself. The boy talks to the ghost of a young girl named Kyra Collins (Misha Barton), who was poisoned by her mother. Cole’s mother (Tony Collette) initially doesn’t believe Cole’s story about the poisoning but eventually comes to accept her child's abilities. During this time, Malcolm’s wife (Olivia Williams) is unaware of what has been happening because her husband is actually dead. The brooding atmosphere that is conjured during this movie is edgy but not intrusive, because the filmmaker, M. Night Shyamalan, does not want to telegraph the major twist ending and goes to great lengths not to reveal it. Everything appears normal for Dr. Malcolm Crowe and his young patient Cole, and yet nothing around them is normal at all. The filmmaker plays his scenes truthfully, with Malcolm’s wife moving in and out of them while still grieving her husband’s loss. The audience does not realize that she is actually not a part of these scenes. She does not see her husband at all. He is gone. It is an eerie, surrealistic scenario that is not resolved until Malcolm’s wedding ring falls to the floor, which the audience realizes he has not been wearing the entire time. At that point, Dr. Crowe realizes that he is the other “dead person” that Cole has been seeing. The shock of this revelation is one of the greatest twists in film storytelling and stays with the audience for a long time. There are great performances in the movie from Bruce Wills, Haley Joel Osment, Olivia Williams, and Misha Barton, but on a visceral level, it is the storytelling itself that haunted me as a viewer. North by Northwest (1959)When an ad man, Roger Thornhill (Cary Grant), innocently answers a page in the Oak Room of the Plaza Hotel, he is mistaken for a man named George Kaplan and is plunged into a world of spies. He is framed for murder and goes on the run, hopping onto the 20th Century Limited train bound for Chicago. He is pursued by the urban and deadly Lester Townsend (James Mason) and a thug named Leonard (Martin Landau). Thornhill meets a beautiful blonde named Eve Kendall (Eva Marie Saint), who is not everything she appears to be. The sense of humor that pervades this movie is wonderful, particularly in the capable hands of Cary Grant at his most charming and skillful. 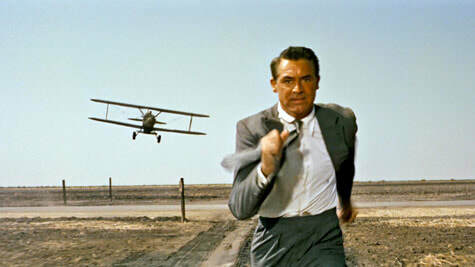 There is an iconic scene in a cornfield where Roger Thornhill is being chased by a crop-duster plane that is a classic and pure Hitchcock, who directed the movie. The twists in the movie are fast and furious as Thornhill is alternatively bemused or fighting for his survival. The movie reaches a climax on top of Mt. Rushmore, where Thornhill must rescue Eve Kendall, who is about to fall to her death. This is filming at its best, with a mixture of thrills, witty dialogue, and suspense. Mendez’s plan is aborted, however, because President Jimmy Carter has authorized a Delta military strike force to attempt to rescue the 52 hostages being held by the Irian revolutionists. Going against his orders, Mendez will not abandon his mission—but his time is running out. The Irian revolutionary forces are tightening the noose around the Canadian Ambassador’s residence. Mendez and his charges make a desperate bid to get to the airport and escape out of Iranian airspace. The rising tension in the movie cranks up exponentially as Tony Mendez’s mission unfolds, comes apart, and then races to a thrilling climax. The nail-biting suspense never flags for a moment and includes superior performances. It’s a great piece of filmmaking from director Ben Affleck, and at the end of the movie, you feel as if you have been through this ordeal with these six Americans and have triumphed with them. Murder on the Orient Express (2017)The 1st Class compartment of the December 1935 Orient Express from Istanbul thunders through the night. 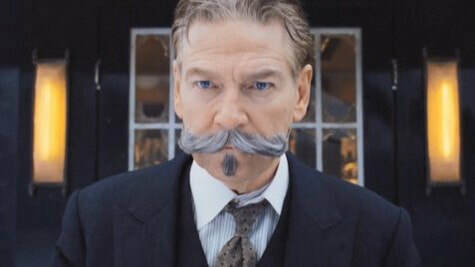 The famed and fastidious Belgian detective Hercule Poirot has boarded the train at the last moment. One of the passengers has received several death threats and is being protected by Poirot. But the Orient Express has unexpectedly stopped and is delayed due to snow in a remote part of Yugoslavia. Poirot’s charge is found stabbed several times. Poirot soon finds out the victim is not who he says he is and discovers a connection to a five-year-old US kidnapping and murder case of the infant Daisy Armstrong. She was murdered in spite of the fact that her parents had paid a ransom, which was never recovered. Both of Daisy’s parents have tragically died. As Poirot questions the murdered man’s accompanying staff, other first-class passengers, and their servants onboard the stalled Orient Express, he finds opportunity and motive. A strange coincidence links the 1st Class passengers, and the famed Belgian detective forms a solution to a very complex murder plot. The 2017 version of the movie—with its coterie of wonderful British stars—included the spectacular Kenneth Branagh as Detective Hercule Poirot, Michelle Pfieffer, Derek Jacobi, Dame Judy Dench, Olivia Coleman, Wiliam Dafoe, and Johnny Depp. The movie is beautifully mounted and acted. Even though the story in the book and the two movies is widely known, including the twist ending, the murderous plotting and complex characterizations make the movie as beguiling and intense as it was years ago when Albert Finney played Hercule Poirot along with other stars like Lauren Bacall, Sean Connery, Ingrid Bergman, Vanessa Redgrave, John Gielgud and Anthony Perkins. SkyfallJames Bond (Daniel Craig) finds his latest mission going off the rails as a missing hard drive containing the names of every NATO agent embedded in various terrorist organizations around the world has been compromised. It appears that OO7 has been killed falling from a moving train. M (Dame Judy Dench) writes Bond’s obituary. Her authority is then challenged by Gareth Mallory (Ralph Fiennes), the new chairman of the Intelligence and Security Committee. M’s actions are being questioned, and she has been asked by Mallory to retire from Her Majesty’s Secret Service. An explosion rocks MI6, and the agency goes underground beneath the London streets to rebuild. Bond returns, although he finds he has to prove himself of being capable to be a 007 agent again. His mission to recover the hard drive of MI6 agents leads him from Shanghai to Macau to Japan and back to London, where a rogue one-time MI6 agent, Raoul Silva (Javier Bardem), attacks the MI6 building. Silva has a history with M, who had left him to be imprisoned and tortured by the enemy. And yet, Silva has an obsessive, one-sided love affair with M, whom he worships—but his goal ultimately is to kill her. The movie’s dénouement is played out at Bond’s childhood estate called “Skyfall,” where he is reunited with M and also his old estate gamekeeper, Kincade (Albert Finney). The backdrop of the “Skyfall” estate is magnificent, and the memories that it stirs within Bond reawakens a spirit in him. Silva arrives in a helicopter at the isolated estate with murderous intent, accompanied by several armed mercenaries. Bond and the shotgun-wielding Kincade have some surprises in store for them, but in the end, Bond’s one-time estate is engulfed in flames. M is fatally shot by Silva, and Bond silences him with a knife in the back. M dies in Bond’s arms, leaving him distraught. This was the best Bond movie in a long time, with its underlying themes of sacrifice and loyalty, M’s fierce devotion to 007, and the best Bond villain in years in Javier Bardem’s memorial performance. When James Bond returns to MI6, he finds that Mallory has been appointed as the new “M” of the department. Bond is “back” in the fold, and M gives him his newest assignment. These kinds of things are always pretty personal, but those are my top five...and I'm stickin' to 'em. What are yours? Feel freeto drop me a line at https://www.michael-sloan-equalizer.com/contact.html and share your thoughts.